There is no clear and precise answer to the question, "to buy long-term care insurance or not." Naturally, different situations call for different solutions. The long-term care insurance inquiry is full of pros and cons and a slew of other ancillary concerns. In the future, I'll address other critical topics that deal with long-term care since 70 percent of older Americans will need at least three years of it after turning 65. And since the cost of a nursing home stay runs close to $85,500 a year, aging Americans need all the information they can get. The reason anyone needs a policy is to get help paying for nursing home care or assistance doing everyday tasks like bathing, using the bathroom, preparing meals, shopping, and taking medications. This type of care is very costly. Check out senior care costs in your area. The biggest problem with long-term care insurance policies, you must buy it in advance. If you wait till you need it, you won't qualify. Another issue, people have a hard time figuring out the type of care they might need in the future. You frankly don't know how your health will play out. Health is not something to gamble with and to tackle the threat of possible devastating care cost is a significant challenge. And while long-term care insurance may not solve all the care problems for everyone, you need a strategy to deal with the hefty costs of the expenses. People need senior care for two reasons; they're in poor health, and they cannot take care of themselves, and secondly, they don't have access to nearby friends or family to help out. Chronic conditions like dementia, advanced osteoporosis, and Alzheimer's require long-term care and the illnesses require high-cost care facilities. Since these types of diseases develop over time, it's difficult to know precisely the kinds of care a person living with the illness will require. You may remember how the family cared for grandparents years ago. Each family member pitched in. I recall my mom sharing the care with her sisters. Each would take a day to cook and help grandma out. But today, families live at a far distance from one another. Several years ago, the National Alliance for Caregiving found that 20 percent of the family caregivers have their elderly recipients at home with them. For the rest of the elderly, the only solution is a nursing home facility. As you learned in the last two articles on Aging matters, Medicare does not pay for long-term custodial care that supports activities of daily living. And Medicaid may cover the expenses for those who meet its financial requirements, but benefits are difficult to obtain. Carol Marak helped her parents with long-term care concerns and were the creator of the Aging matters column. 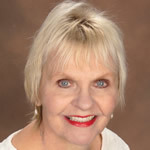 If you have a question or need help, Carol invites you to visit SeniorCare.com and complete the contact form on the site. The address is / on /about/contact.php.